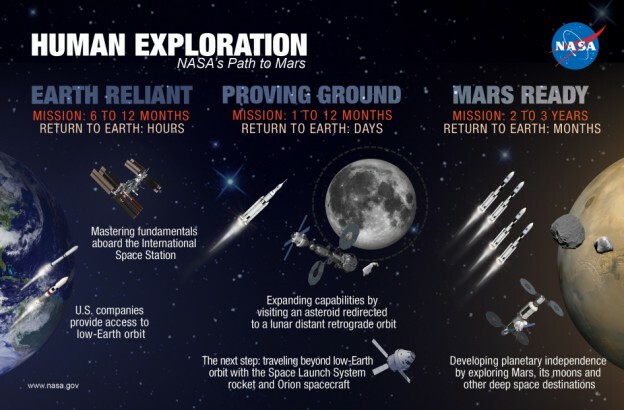 I have had several opportunities the past few weeks to testify before Congress and explain to the American people the ambitious exploration plan NASA has been implementing the past few years. It is a plan that reflects a steady stepping stone approach to meet President Obama’s challenge of advancing deep space technologies through our Asteroid Redirect Mission and sending humans to Mars in the 2030s. Last year, 11 other space agencies agreed we share a common interest in advancing a unified space exploration strategy through their support of a Global Exploration Roadmap. The success of this plan begins with the International Space Station (ISS) — our springboard to the exploration of deep space. The Obama Administration’s commitment to extend the ISS until at least 2024 will ensure that we have this unique orbiting outpost for at least another decade. This means an expanded market for private space companies, more groundbreaking research and science discovery in micro-gravity and opportunities to live, work and learn in space over longer periods of time. Astronauts aboard the ISS are helping us learn how to safely execute extended missions deeper into space. Later this year, we will see Exploration Flight Test-1 (EFT-1) of Orion. NASA is pressing forward with development of the Space Launch System and Orion, preparing for an uncrewed mission of the two together in FY 2018. The President’s 2015 budget also supports the Administration’s commitment that NASA be a catalyst for the growth of a vibrant American commercial space industry. Already two companies – SpaceX and Orbital Sciences – are making regular cargo deliveries to the Space Station. While the Russian Federal Space Agency remains a strong and reliable partner –this week NASA purchased more seats on the Soyuz spacecraft to help keep the Space Station operating—later this year NASA intends to select from American companies competing to send astronauts to the Station from American soil. With the President’s request, we believe we can do this by the end of 2017. In addition to continuing ISS research, strengthening partnerships with commercial and international partners, and building the next generation heavy-lift rocket and crew capsule to take our astronauts farther into space than ever before, our stepping-stone approach includes a plan to robotically capture a small near-Earth asteroid and redirect it safely to a stable orbit in the Earth-moon system where astronauts can visit and explore it. Our Asteroid Redirect Mission will help us develop technologies, including Solar Electric Propulsion, needed for future deep space missions to Mars, as well as other NASA and commercial activities. Under our asteroid initiative, we enhance detection and characterization of Near Earth Objects and improve understanding of asteroid threats to planet Earth. NASA’s FY 2015 request continues support for science missions heading toward destinations such as Jupiter and Pluto. It enables NASA to continue making critical observations of Earth and developing applications to directly benefit our nation and the world. It maintains steady progress on the James Webb Space Telescope toward its 2018 launch. Our aeronautics program will continue to focus on substantially reducing fuel consumption, emissions and noise to help make the Next Generation Air Transportation System – or NextGen – a reality. All of NASA’s investments help drive technology and innovation, spur economic activity and create jobs. That is why the President’s Opportunity, Growth, and Security Initiative would provide NASA nearly $900 million in additional funding in FY 15 to focus on specific areas where we can advance our priorities. NASA sent humans to the moon by setting a goal that seemed beyond our reach. 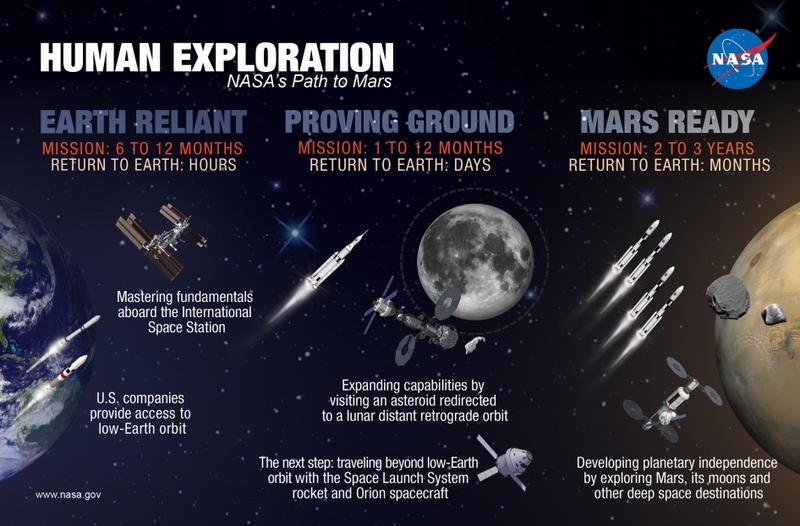 In that same spirit, we have made a human mission to Mars the centerpiece of our next big leap into the unknown. We are counting on the support of Congress and the American people to help us realize that goal.